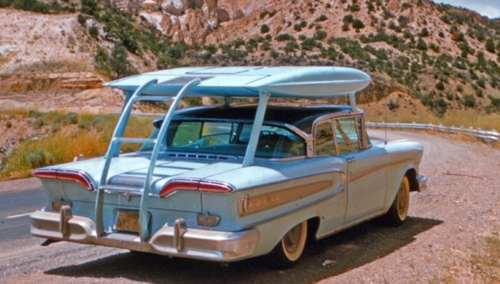 That’s Edsel’s a 1958 Aero Cabana. Really. UPDATE: Just found some pictures of the Aero Cabana in all it’s open glory. Apparently its use wasn’t limited to the Edsel Citation, but it is still a rarity. Despite its aerodynamic form, the Aero Cabana never quite *ahem* took off. Very little is known about this pop-up design, but not because it lacks merit. In the twenties and thirties, many of the tent and trailer manufacturers began building prototypes after hours in small backyard shops in hopes of developing a sound manufacturable product. 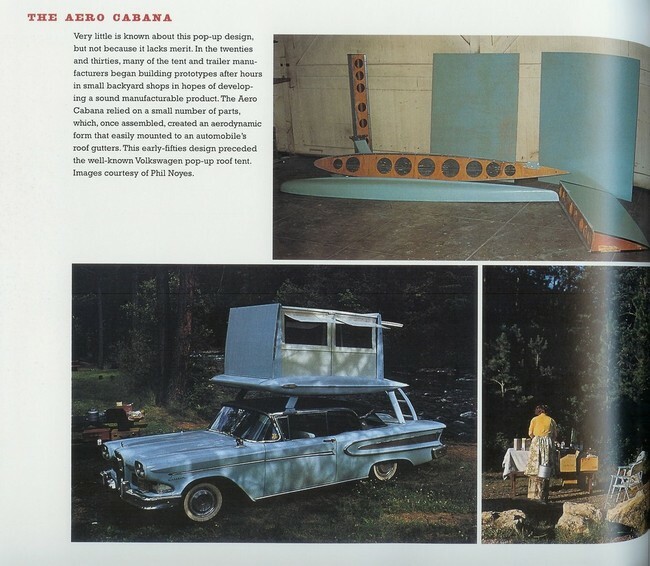 The Aero Cabana relied on a small number of parts, which, once assembled, created an aerodynamic form that easily mounted to an automobile’s roof gutters. 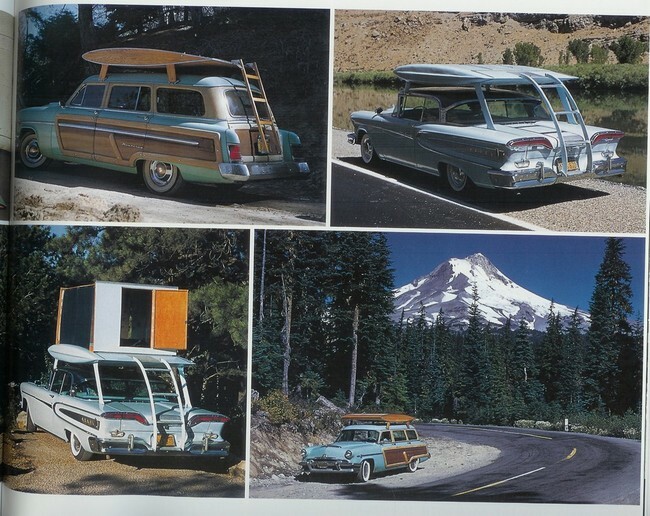 This early–fifties design preceded the well-known Volkswagen pop-up roof tent. Images courtesy of Phil Noyes. This entry was posted on Wednesday, 11 May 2011 at 12:05 AM and is filed under Automotive, Babe Magnet, Cool, Humor, Odd, Retro. You can follow any responses to this entry through the RSS 2.0 feed. You can leave a response, or trackback from your own site. I wonder how comfortable it was. It seems like it would be really comfy or a complete nightmare. Awesome! I want one for my Toyota Tacoma pickup!!! Be rockin’ with my homies!!! Why does this make me want to grab a beach towel, drive it to the lake, drive it IN the lake, and go boating? There aren’t enough ladders on vehicles these days. The fire department seems to have cornered the market on that stuff. John– I’m glad Poppa Strutts didn’t have one or we kids would have suffocated on a long trip. Tattoo Jim– All you need for your TT is an inflatable mattress, some shag carpeting and a 12-pack. Jane– I bet it would’ve been a mess trying to keep it on the road during a windstorm. Be like driving a zeppelin. plane– You make me snort. Here we’re discussing the anti-spoiler on the top and you’re focused on the ladder. One step at a time, I guess. Just found some photos of the Aero Cabana in it’s full open glorious regalia. [See above]. Necro– Makes any roadboat look like a partymobile. Nice catch basin for rainwater, too.